As I stated before I've been trying to get better at baking. This means understanding the chemistry of baking better. I'm getting better at that, but I've realized during this process how much easier vegan baking is. Vegan substitutes like applesauce, flaxseed, or ripe bananas make baking more guilt free and expand flavor options. This is one of the first recipes I tried without a recipe and using vegan substitutes. They turned out do great! The texture and flavor was spot on. After this success I have truly become a vegan baking fan. Don't get me wrong I'm not done either eggs and milk all together but I'm really starting to dig vegan baking. Cream together banana, applesauce, and sugars. Mix the remaining dry ingredients. Slowly incorporate dry ingredients into wet ingredients. Once everything is fully incorporated, place batter into muffins tin. Add walnuts. Bake at 375 degrees for 15 minutes. 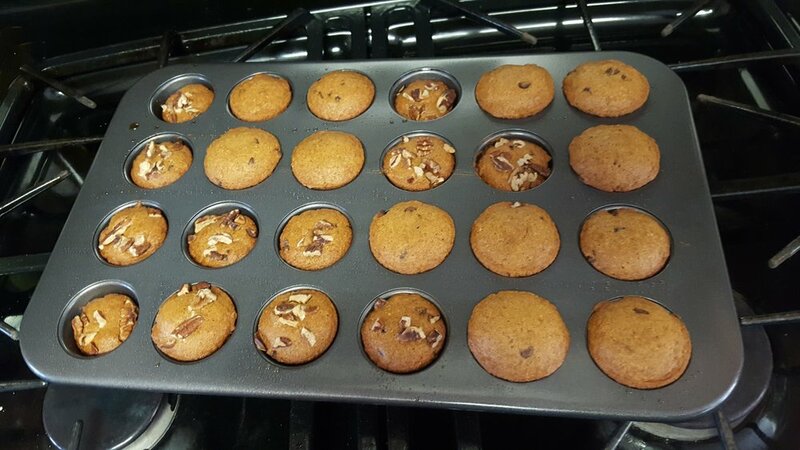 I made them using my mini muffin pan. 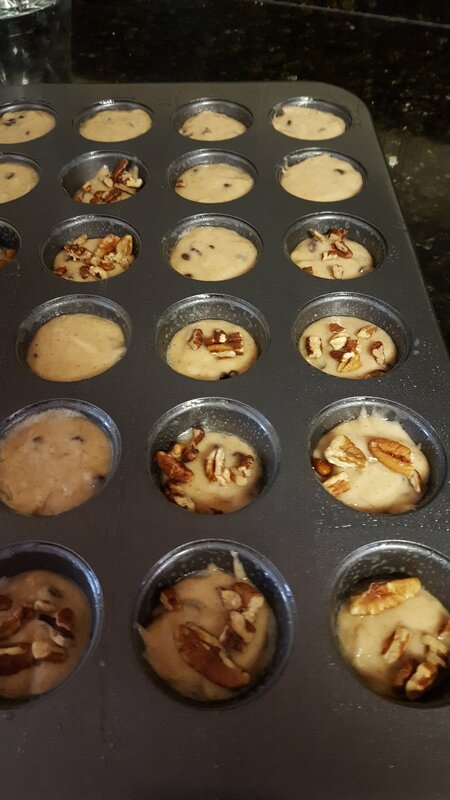 The baking time may need to be adjusted if you use regular sized muffin tins. I started attempting to bake bread in college. It would bake up fine, but when I cut into it, it was crumbly and would never stay together. My hopes and dreams of making the perfect sandwich bread dashed every time. I tried a few different recipes but, never fully invested the time into finding out what I was doing wrong. So I avoided baking bread for a long time after. I even got rid of my loaf pan. Which I did not realize until I was ready to bake my first loaf of bread in years. Needless to say, that was a bust. But even when that major mishap the bread was delicious. That's when I knew I had a winner. 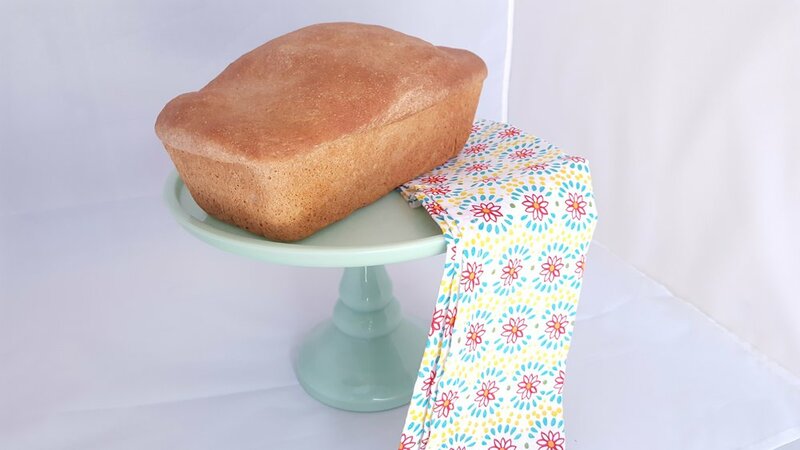 This bread is super easy to make, it requires a bit of rising time at least 3 hours, but it's definitely worth the wait. Combine water, yeast, and maple syrup. Let it sit for 10 mins to allow yeast to flower. Next, add coconut oil, salt and whole wheat flour. Mix on low-medium until dough ball begins to form. Place ball in a greased ball in a warm place for dough to rise, cover with towel. Let it rest for 1 hour. Punch down dough and let it set another hour. Preheat oven to 350. Divide dough into 2 loaves, and let rise another hour. Bake at 350 for 35 mins. Enjoy with butter hot out of the oven!